I do love a good rug, and am just investing in a new one at home (photos to come no doubt!) so today’s guest post looking at different rug types available is a great resource. Enjoy! Rugs and carpets are a fast and effective way of transforming a room’s design and feel, without the hassle of redecorating or changing furniture. What’s more, they’re easily transported, so can be taken with you should you decide to move. We’ve put together a wish list of the our top five rug designs, including which ones we love the most, the impact they have on a room and what they’re best paired with. There’s something that’s just magical about an oriental carpet in rich, warm tones. 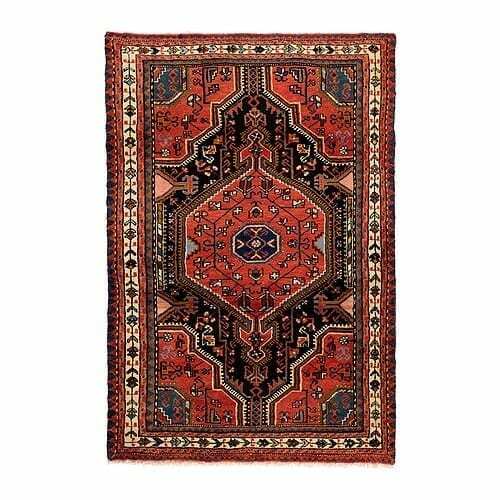 Though they wouldn’t look out of place in a Persian palace, these traditional woven rugs are gorgeous scattered over dark, hardwood floors and add a sense of opulence to any room. At the top of our wish list is this Persisk Hamadan (£275 from IKEA). Each design from the range of Persian and Oriental rugs has a unique pattern and comes with anti-slip underlay, so they’re perfect as runner rugs in hallways. Like all aspects of interior design, you shouldn’t be intimidated by bold colours and statement accessories like bright rugs. A room decorated in calm, comforting tones like cream and grey can be transformed by a dramatic injection of colour and an unusual design. We instantly fell in love with this gorgeous aubergine carpet, with its elegant floral pattern and vibrant colour palate. 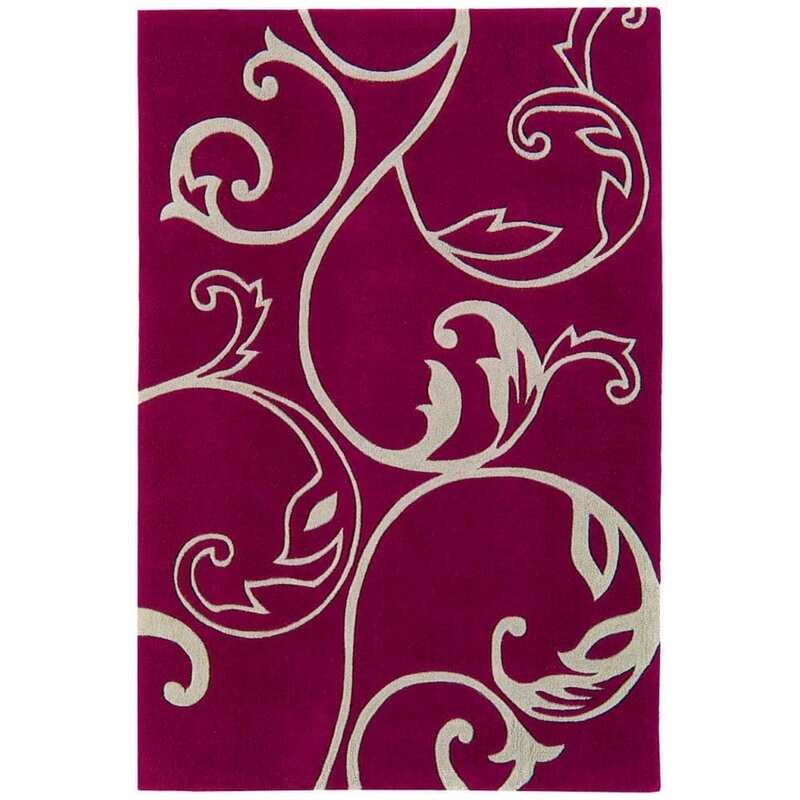 Perfect for large spaces in need of life, you can find this design and more purple rugs like it, online at Mail Order Rugs. In search of a unique and distinctive accessory for an interior design projects that requires a bit of flair? 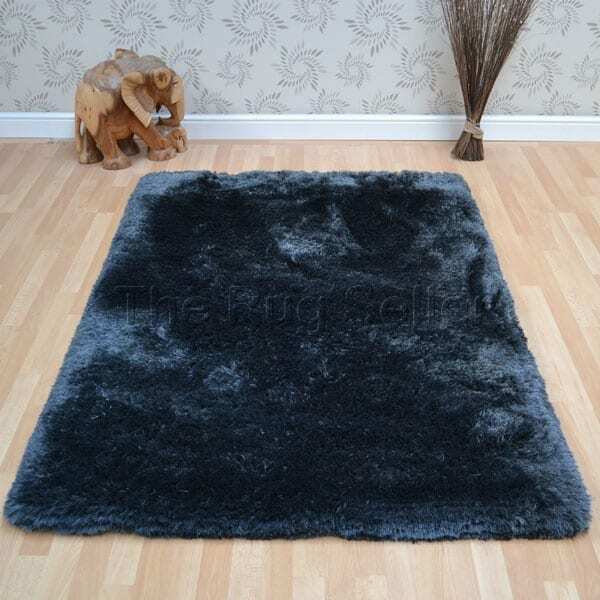 We think you couldn’t go far wrong with a cowhide rug, available online from Funky Rugs. Cowhide rugs may have once been synonymous with Western saloons and hunting lodges but these days they’re a component of chic interior design projects. They look fantastic in clean, white spaces paired with black leather furniture and chrome accessories, for a look that’s urban and sophisticated. Stripes are a classic design, whether we’re talking fashion or interiors, and a bit of stripe perfect choice for someone in search of a look that’s classic and timeless. A striped rug is also the more practical choice, as it’s easier to disguise stains and marks. Striped rugs are also particularly fantastic in older, low ceilinged properties or attic bedrooms, as the stripes draw the eye downwards and outwards, as opposed to towards the ceiling, creating the illusion of more space. This elegant piece in cream and beige hues is perfect for smaller spaces and elicits a sense of calm and sophistication. Take a look at the collection of cream rugs from Mail Order Rugs to find others just like this. We adore the sense of comfort and luxury that’s achieved by adding a shaggy rug to a room. Shaggy rugs also have a distinctly retro vibe, which is never a bad thing, and are the perfect accompaniment to simple, clean lies and vibrant colours of 60s style. We were particularly impressed with the selection of plush rugs at The Rug Seller; these designs are comfortingly heavy, so they’re perfect for chilly wooden floors and come in a range of contemporary colours.